Shell Petroleum Development Company (SPDC) has appealed a Rivers State High Court order sentencing its managing director and two others to three months’ imprisonment for contempt of court. A Port Harcourt High Court on Tuesday sentenced the Managing Director, Mr. Osagie Okunbor and two others to prison with hard labour. Reacting to the sentence, the Manager, Corporate Communications and External Relations, Mr. Bamidele Odugbesan, yesterday in an SMS to NAN in Lagos decried the pronouncement. He said: “We do not accept that SPDC has disobeyed any court order and we have accordingly appealed this judgment. SPDC has utmost respect for the courts and the laws of Nigeria. Odugbesan said the 2008 judgement was settled between SPDC and the landlord families in 2014. “An amicable resolution and settlement agreement was signed by the parties in 2014, after which SPDC paid the rents due on the land up to 2019,” he said. Odugbesan cited a public notice by the landlord families in the October 24, 2014 edition of The Guardian, acknowledging the settlement with SPDC. He said the Bonny Oil Terminal is a critical national asset in which the Federal Government has 55 per cent interest. “For this reason, SPDC has taken lawful steps to protect its officials and ensure uninterrupted operations at the terminal, in the interest of the nation. 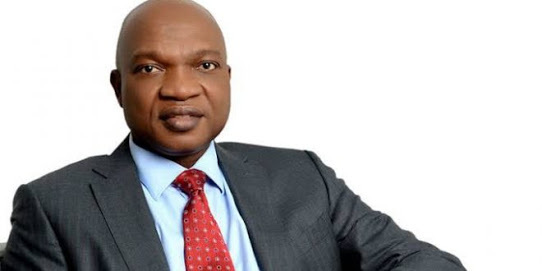 “It receives crude from international and local oil companies through the Trans Niger Pipeline and the Nembe Creek Trunk Line for Export,’’ Odugbesan said. Members of Bonny community in Rivers had approached the court, presided over by Justice George Omeriji, to commit the SPDC officials to prison for disobeying its order of 2008. The community wanted the court to direct the company to forfeit the land where one of Nigeria’s biggest oil terminals, Bonny Oil Terminal, was located.